John McKechnie was the fourth son of grazier Hugh McKechnie and Isabella Cameron and was born at the McKechnie family property Lornwood Estate near Balmoral. Hugh and Isabella McKechnie and their family later moved to Burnie in Carmichael Street Hamilton, on the corner of Clarke Street. 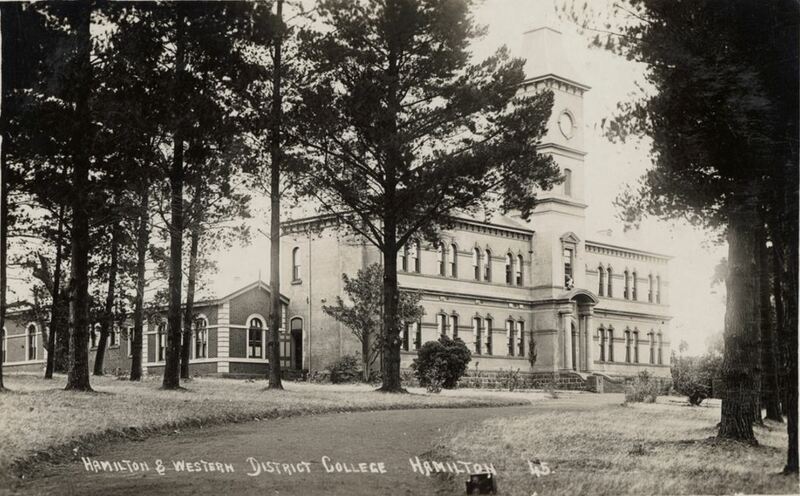 John attended the Hamilton and Western District College (below). When John was sixteen, his mother Isabella died at Hamilton in 1904 aged forty-eight. John later moved to New South Wales and working as the manager of Roto Station near Hillston north of Griffith. On 13 July 1915, John’s brother Hugh enlisted. Two days later, John joined friends for a farewell drink at the Royal Mail Hotel in Hillston before departing for Sydney to enlist too. John left Australia with the 5th Field Artillery Brigade (FAB). His brother Hugh departed on the same day with the 4th FAB. They disembarked at Suez on 21 December 1915. On 25 March 1916, John arrived in France with his brigade and they made their way to Le Havre and later Fleurbaix. 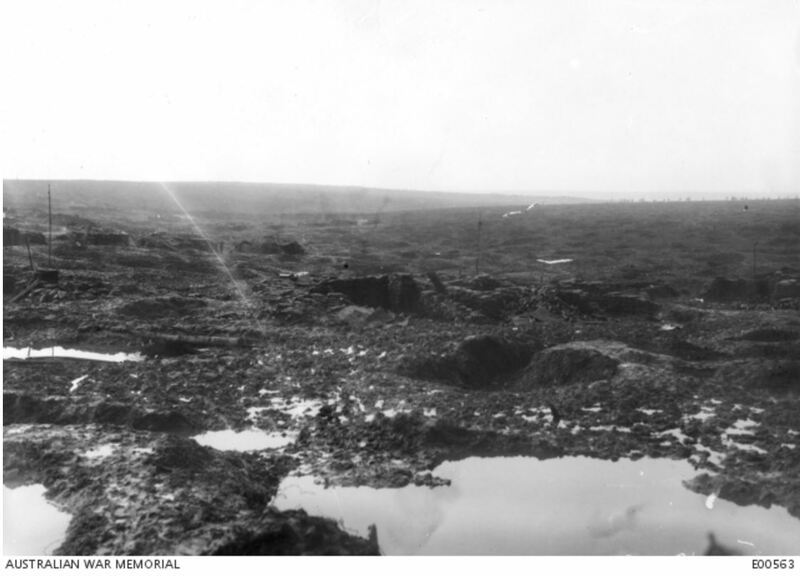 On 27 July, the brigade moved close to Pozieres and remained at the frontline until 9 August when they withdrew. From there they moved to Albert, moving into the frontline again on 18 August and remaining until 4 September. The following month, on 8 October 1916 John transferred to the same brigade as his brother Hugh, the 4th Field Artillery Brigade. John was part of the 10th Battery as a driver. At the time of his arrival, the brigade was at Ypres, Belgium for the First Battle of Ypres. They were back in France the following month at Gun Valley near Flers, France (below) where they spent the winter. 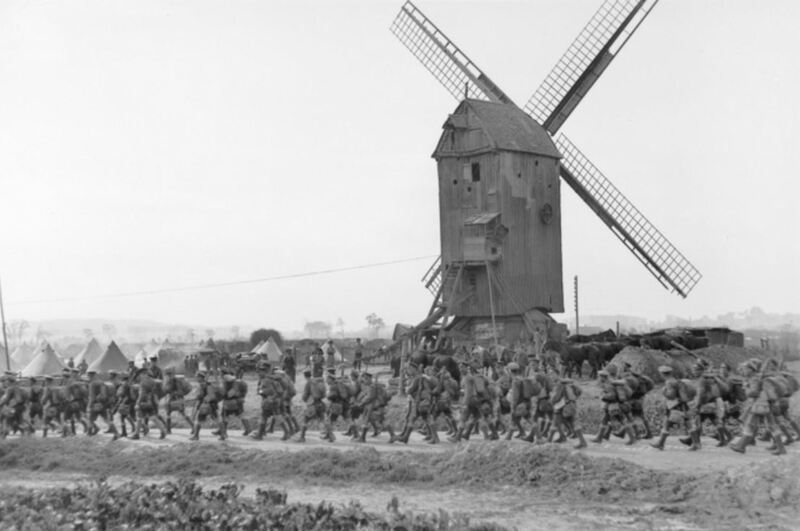 By spring, the brigade was at the frontline in the Noreuil Valley before moving back to Belgium by summer. On 18 July the brigade arrived in Dickebusch, Belgium where preparations were underway for the Third Battle of Ypres planned for 31 July. The Brigade moved into battle position on 22 July. The battle was still days away but there were dangers. 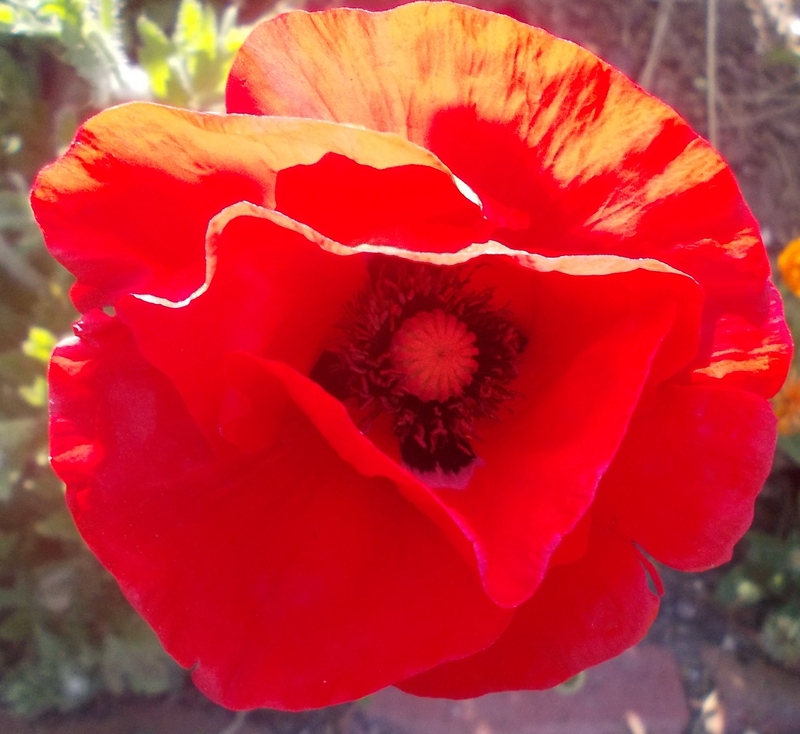 On 24 July 1917, John McKechnie received a gunshot wound to the back. He was transferred to the 11th Casualty Clearing Station, where he died soon after. John’s service records and the unit diary don’t give any clues about the circumstances of his wounds. The news of John’s death was felt in Hamilton and Hillston. John’s father Hugh McKechnie had the news by the end of July. It took a longer to reach Hillston, with the first report of John’s death on 22 September 1917. Hugh McKechnie died in 1921 at Hamilton aged seventy-six. Trees were planted for John McKechnie along Hamilton’s Anzac Avenue and the Clarke Street Avenue of Honour in Hamilton.